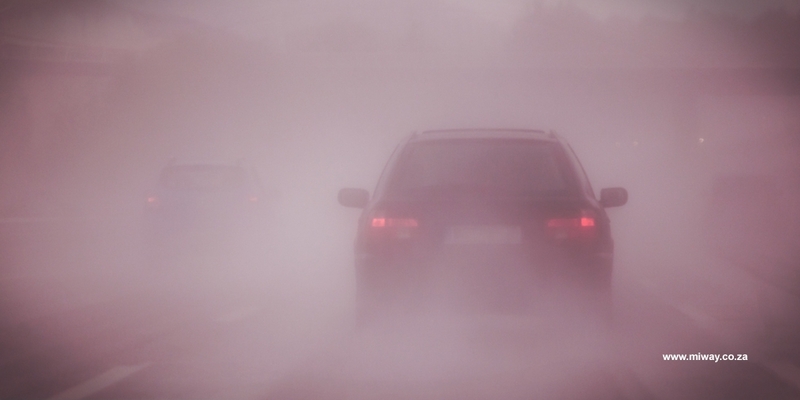 It is believed that fog and mist are one of the most dangerous environmental hazards to deal with on the road. Limited visibility means that it is all the more important to be alert and prepared so that you can drive safely to your destination. Slow down and be seen. When driving in bad weather conditions, reduce your driving speed, keep a safe following distance and turn on your headlights. It is imperative to be seen, as much as it is to see. Steer away from the ‘brights’. Avoid the use of using your high beam headlights; the bright light may seem handy for you, however, they actually affect your vision and ability to see (as well as other drivers) by creating a reflection of the mist. Leave the ‘hazards’ for an actual hazardous situation. Driving with your hazards lights on will make other drivers nervous and they may try to overtake you; placing yourself, them, and others in danger. Be cautious of doing this. Let the edge be your guide. Avoiding oncoming traffic or being distracted by their headlights is more of a mission in such conditions. Opt to use the edge of the road (rather than the centre line) as a guide to keep you in your lane and further from the traffic on the other side of the road. Don’t stop in the road. Should you find yourself unable to drive further, pull off on the side of the road as far as safely possible, switch off your driving lights and turn on your hazard lights to signal to other drivers that you have stopped. Don’t stop in the middle of the road – the possibility of being rear-ended is higher. Look and listen. Keep an eye on the road for any hazards that could disturb your drive, as well as for any warning signs that could prevent unwanted accidents. You may need to wind down your window and listen for traffic at intersections to gauge for traffic before driving into a road. Be clear with your intentions. Unlike ‘normal’ driving conditions, drivers need more time and caution to react to situations on the road. Signal your intended actions as early as possible and stay away from hitting the brakes suddenly. Keep calm and be patient. “Not being able to see” cannot be used as an excuse in the event of an accident. So, slow down and remember that the other drivers also have limited sight of the road and are trying to be safe. Avoid overtaking in foggy or misty conditions. “I can see clearly now…”. Once the bad weather has cleared and you’re able to happily sing to this tune as you continue to your destination, don’t suddenly slam your foot on the accelerator. When driving in bad weather, consider other road users and what they are able to see (or not see) when driving in the conditions. Your actions impact the next person, so your full attention is required at all times! For added peace of mind, make sure you are comprehensively covered for your car insurance – so that you can go back to living your way after an accident claim.